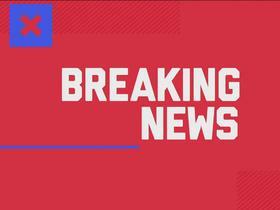 Foster will remain on the Commissioner's Exempt list and won't appeal the league's decision until his pending legal matter is resolved, an NFL source tells Adam Schefter of ESPN.com. Analysis: Foster isn't scheduled to appear in court until Jan. 3 after he was arrested Nov. 24 on a domestic violence battery charge, so this news essentially rules him out from playing again this season. Shortly after news of Foster's arrest surfaced, the 49ers waived the 24-year-old linebacker, with Washington putting in a claim Tuesday. Given Foster's history of multiple off-field incidents, it's likely he'll face a suspension once the legal process concludes. 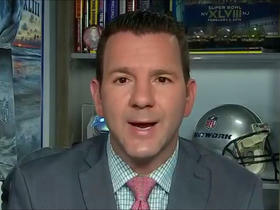 The NFL placed Foster on the commissioner's exempt list Tuesday, Mike Garafolo of NFL Network reports. 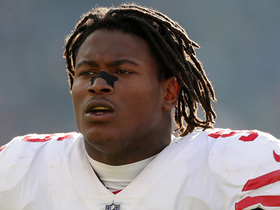 The Redskins claimed Foster off waivers Tuesday, Adam Schefter of ESPN reports. The 49ers' release of Foster will become official Monday once the NFL's transaction wire resumes business, per Nick Wagoner of ESPN. Analysis: Foster was listed among the 49ers' inactives for Sunday's game against the Buccaneers. The team previously announced that the linebacker would be released following Foster's most recent off-field issue. The 49ers released Foster (hamstring) on Sunday. Foster was arrested Saturday at the 49ers' team hotel in Tampa, Fla. on a domestic-violence battery charge, Eric Branch of the San Francisco Chronicle reports. Foster missed the past two games with a hamstring injury and is listed as questionable on the team's official injury report for Sunday's game against the Buccaneers. Foster (hamstring) is listed as questionable for Sunday's game at Tampa Bay, Nick Wagoner of ESPN.com reports. Analysis: On the heels of the 49ers' bye, Foster logged limited practices all week. Clearly, his hamstring is still bothering him, but he appears to be closing in on putting an end to a two-game absence. In 16 career contests, Foster has averaged 6.3 tackles per game. Foster (hamstring) was a limited participant in Wednesday's practice, Eric Branch of the San Francisco Chronicle reports. Analysis: Foster has missed two consecutive games due to a hamstring injury, and continues to progress in his recovery. The 2017 first-round pick appears to have a legitimate shot of suiting up against the Buccaneers' on Sunday, but may need to fully participate in practice at least once before retaking the field. If Foster were unable to go Week 12, Malcolm Smith would once again slot into the starting lineup. Foster (hamstring) is practicing Monday and appears "ready to return," Cam Inman of The San Jose Mercury News reports. Analysis: Foster appears to have put the 49ers' bye to good use. The 2017 first-round pick has missed two straight games due to a lingering hamstring issue, but he now seems to be nearing a return to health. Wednesday's first practice report of the week will bring an official word on Foster's chances of suiting up for Sunday's game against the Buccaneers. Foster (hamstring) will not play in Monday's contest, Eric Branch of the San Francisco Chronicle reports. Analysis: Foster will miss his second straight game thanks to a lingering hamstring injury. Malcolm Smith will take over as the weakside linebacker with Fred Warner patrolling the middle. Foster (hamstring) did not participate at Saturday's practice, Matt Barrows of The Athletic reports. Analysis: Unable to practice, things don't appear to be trending in the right direction for Monday's tilt with the Giants. Foster will likely test his limits during Monday's pregame activities, but a decision regarding his availability may not be made until kickoff. If he can't give it a go, Malcolm Smith could be the next man up. Coach Kyle Shanahan called Foster (hamstring) "questionable" for Monday's game against the Giants, David Lombardi of The Athletic reports. Analysis: Foster did not practice Thursday, according to Cam Inman of The San Jose Mercury News. The 2017 first-round pick sat out last Thursday's win over the Raiders due to a lingering hamstring issue and does not yet appear to be nearing a return to full health. Given that the 49ers are out of playoff contention this season, it wouldn't be surprising if the team elects to take a cautious approach with Foster's recovery and keeps him sidelined until the injury fully heals. 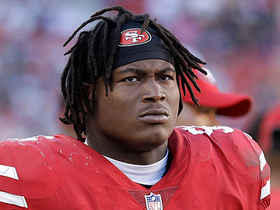 NFL Network Insider Ian Rapoport has the latest on the San Francisco 49ers decision to release linebacker Reuben Foster. NFL Network Insider Ian Rapoport has the latest on San Francisco 49ers linebacker Reuben Foster. 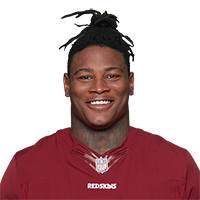 The San Francisco 49ers announce they are releasing linebacker Reuben Foster following off-field incident. 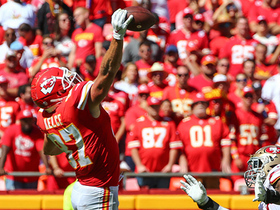 Kansas City Chiefs tight end Travis Kelce leaps up and makes a one-handed catch on a 16-yard pass from Patrick Mahomes in Week 3 of the 2018 season against the San Francisco 49ers. 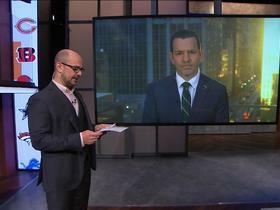 NFL Network insider Ian Rapoport discusses San Francisco 49ers linebacker Reuben Foster's legal matters and how the NFL will handle it. 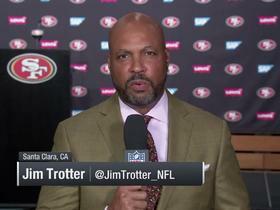 NFL Network's Jim Trotter reports the latest on San Francisco 49ers linebacker Reuben Foster and when the team can expect him to get back to making plays on the field for them. 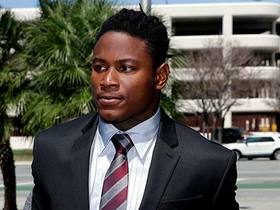 NFL Network's Patrick Claybon discusses what's next for San Francisco 49ers linebacker Reuben Foster as the domestic violence charges against him were dismissed Wednesday. NFL Network's Tom Pelissero and Steve Wyche discuss San Francisco 49ers linebacker Reuben Foster and his future with the team. 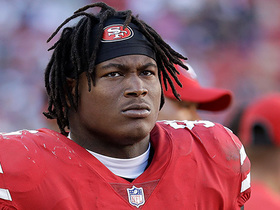 NFL Network's Mike Garafolo reports the latest on San Francisco 49ers linebacker Reuben Foster and his upcoming preliminary hearing Thursday. 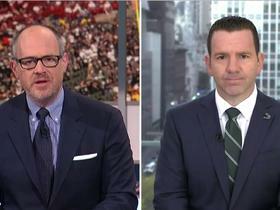 NFL Network Insider Ian Rapoport discusses the latest on San Francisco 49ers linebacker Reuben Foster and what's next for him in court.